When we need to summarize the values in a dataset based on matching instances with single criteria then we use the SUMIF function. We can also nest the VLOOKUP function inside of the SUMIF function in order to make a dynamic SUMIF function. This tutorial will step through the process. 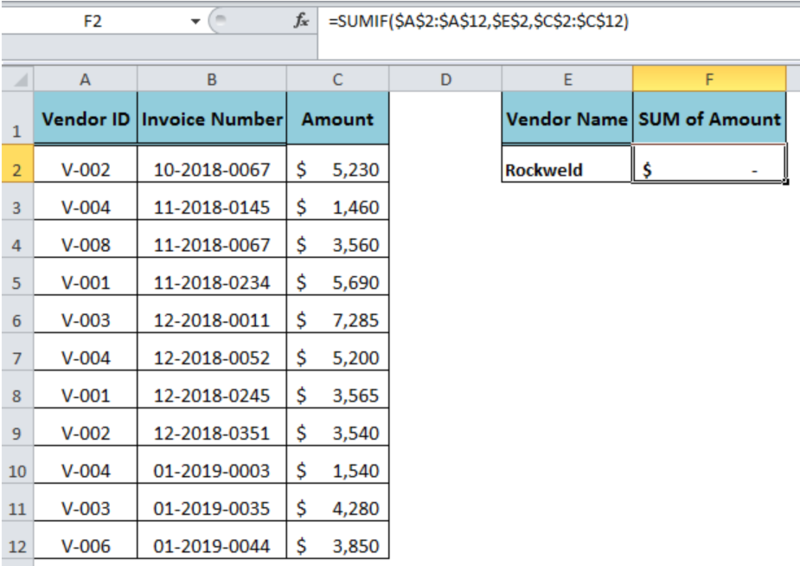 Suppose we have a dataset of vendors’ invoices in a table range A2:C12 where invoice numbers and amounts are listed with respect to vendors’ IDs. 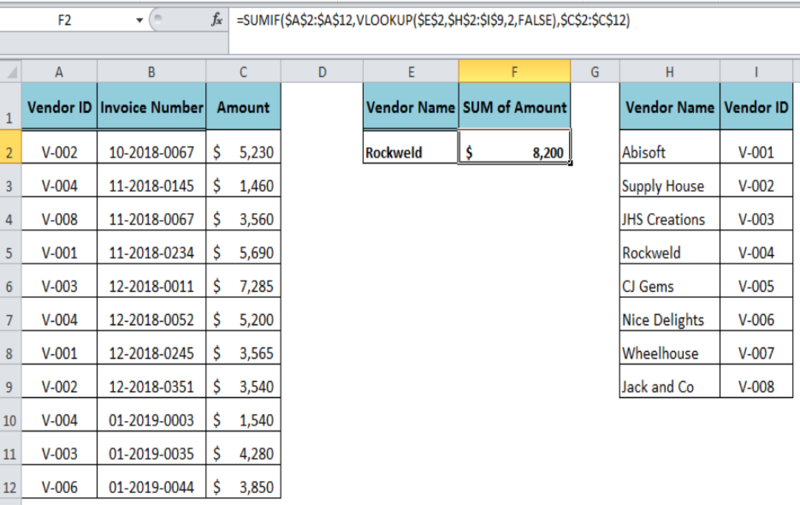 But we want to sum the amounts for a given “Vendor Name” as criteria. As our table range A2: C12 does not contain “Vendor Name” field, so we are unable to sum the invoices amounts using simply the SUMIF function. 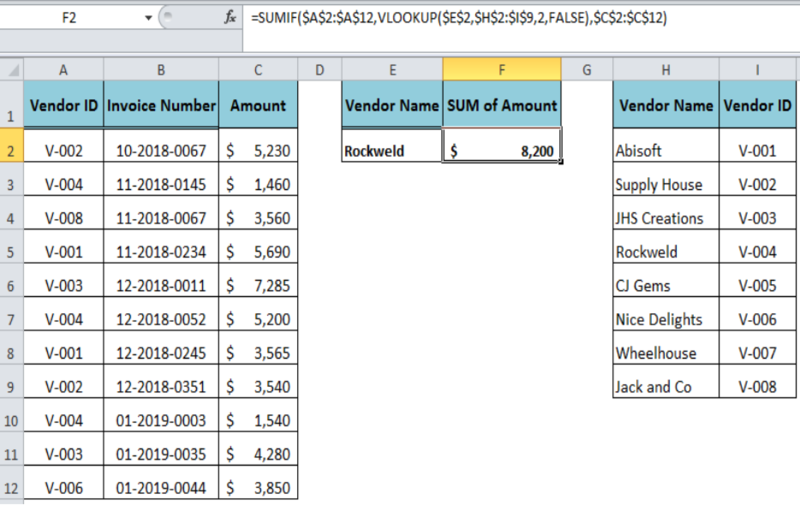 In this formula, the VLOOKUP function returns the Vendor ID as criteria argument value associated with Vendor Name and resultantly the SUMIF function summarizes the invoices’ amounts matching the criteria value.